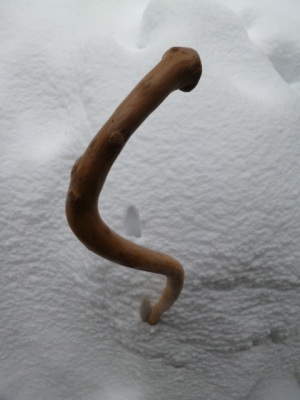 Show off your unique and eccentric character with a twig walking stick. 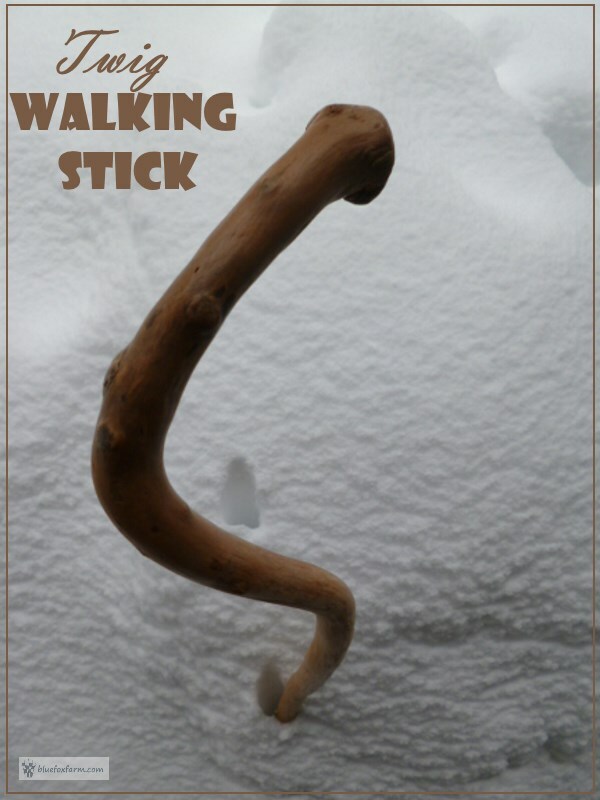 Useful in so many ways, your walking stick can be carved, peeled or burned with a wood burning tool in a pattern, sculpted or wound around with brightly coloured embroidery floss or handspun yarn, pierced or plain. You can call it a scepter, cudgel, sheleighly, staff or rod – whatever the name it will be uniquely yours. The twig walking stick that you make and personalize will accompany you on walks with your dog, for support on a steep hillside, or as a deterrent to unfriendly loose dogs on strolls down a city street. If you’re an avid walker or hiker – for healthy exercise or for your dogs to get a run – you’ll appreciate the protection and support a good twig walking stick will give you. Travelers find it much easier to see the sights without getting tired with a walking stick. What's the best wood for your Twig Walking Stick? My favorite kinds of wood for many rustic crafts, but which work especially well for something that demands a strong, yet light wood such as a twig walking stick are Amelanchier alnifolia, the common Saskatoon, and Acer douglasii, or clump maple. These two types of wood are very fine grained and resist rot and damage from impact with rocks or trees as you thrash your way through thick brush. They are usually fairly easy to find on roadsides and cleared areas, or in hedgerows and shelterbelts. Look for fast growing fairly straight stems between 110 cm and 140cm (45-60") long. Other types of wood that may be more common in your area are willow which tends to be less long lasting, as it’s softer, but if you find some diamond willow this makes a fantastically patterned natural design. Look for fruit wood from well established orchards – particularly apple or pear, as they too are fine grained and very strong. What about sizing a walking stick? The correct length for your twig walking stick is similar to that of a cross country ski pole – it should fit comfortably in your armpit, giving you a good height for holding which won’t cause discomfort for your arm, and still give you good pulling power for uphill climbing. For a shorter cane, the height of your hand hanging comfortably straight from the shoulder is what you should aim for. The thickness of the twig should be comfortable for your hand, depending on the size of your palm. Depending on the look you want, carve away part of the bark in a pattern, or peel the stick entirely. If you’re walking a lot on ice, you can put a roofing screw in the bottom to provide more grip. Drill a hole completely through the thick end to put a leather thong or braided yarn hand hold, round off the ends to take off any burrs with a rasp, sand with some garnet paper or sandpaper and you’re done. Allow the twig to get a natural patina with use, or coat with light oil such as linseed oil. What twigs should I choose for my crafts? ...and where can I find them? What to do when your project is finished? Paint it!